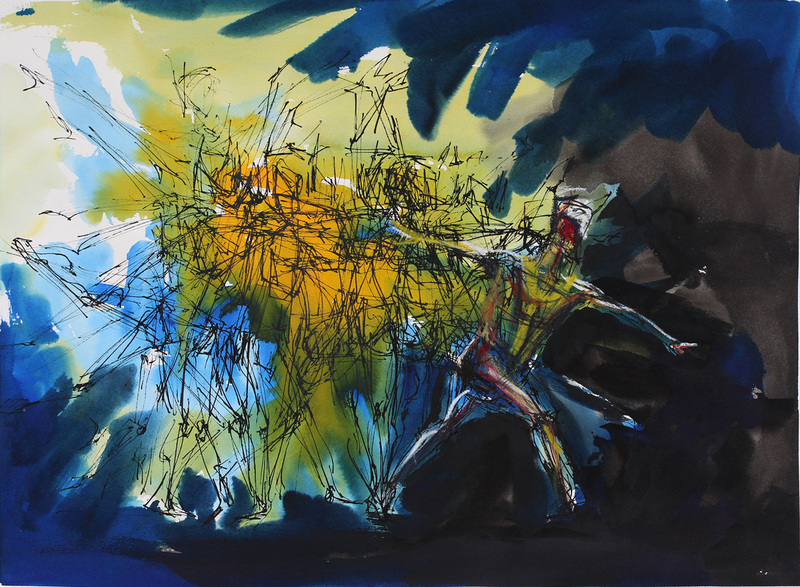 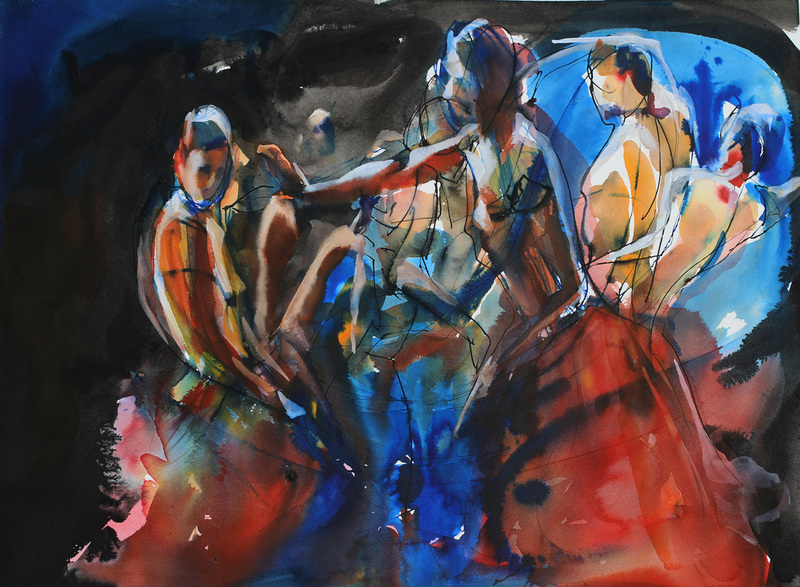 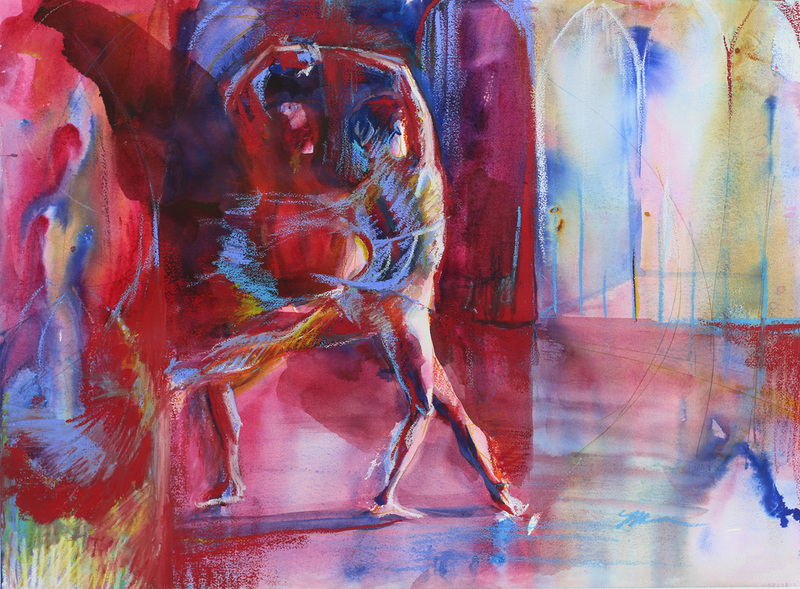 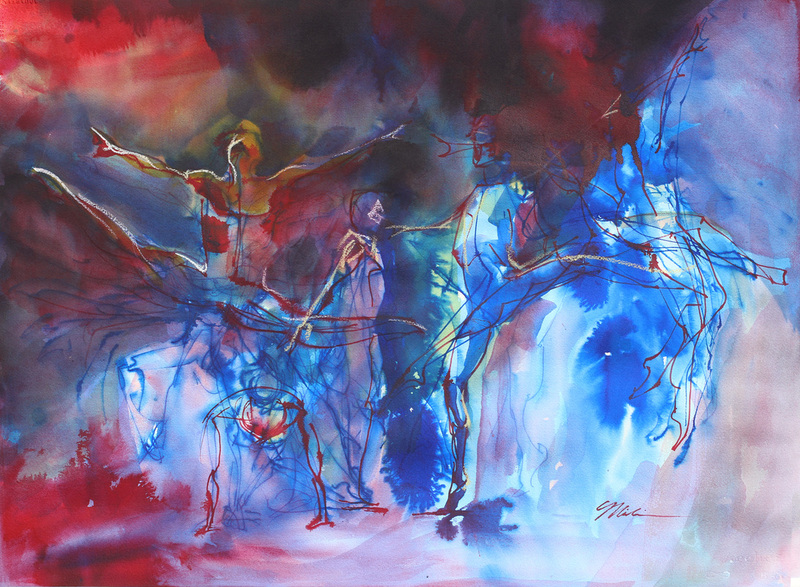 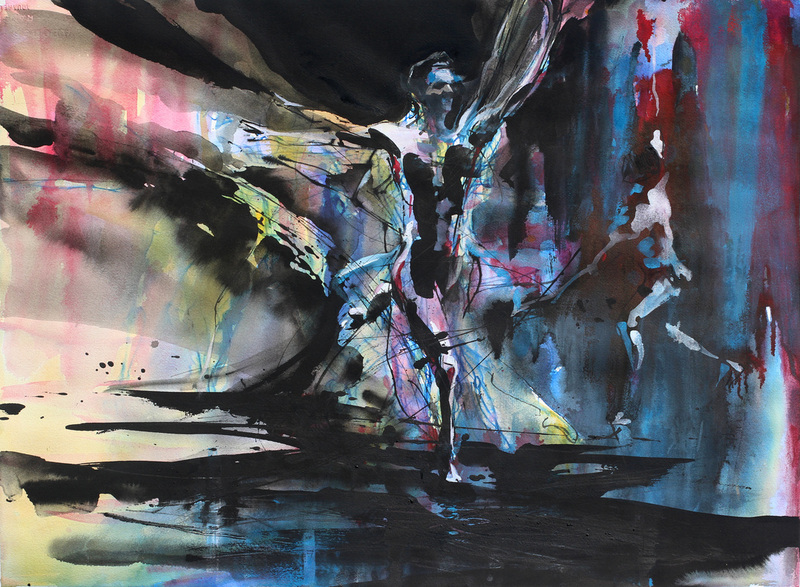 The 2014-2015 painting series explores motion through the form of dance. Each painting began with a single gesture that became the basis for the composition. 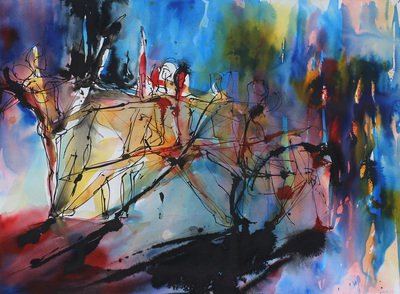 The bold spontaneity of ink encourages a view that shifts between clarity of form and the indeterminacy of becoming.